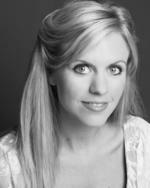 I am a professional singer and actress specialising teaching both beginners and those wanting to extend their singing range. I can help you access a range of styles with your voice as well as finding your own voice. I have performed all around the world in Opera Companies, Theatre companies, with Jazz bands, in musical theatre shows and as a solo cabaret singer. Singing lessons:I can provide backing tracks for you to practice to and can even organise for you to have the songs we have worked on together recorded onto CD or Mp3 as a lasting reminder of your work. Acting lessons: Whatever your experience we will develop your skills with body voice and text work. All lessons are tailored towards whatever your needs are. These lessons are also available over skype. Accent coaching: If you are an actor or actress needing to learn a new accent I am able to help you. I can also do this remotely through skype. We will work on text and create a more believable speech pattern in the new accent. "Helen Wilding is a gifted accent coach - I highly recommend her!"